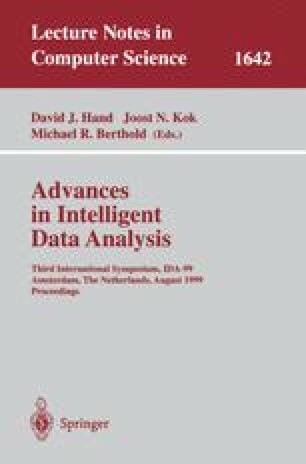 This paper introduces a Bayesian method for clustering dynamic processes and applies it to the characterization of the dynamics of a military scenario. The method models dynamics as Markov chains and then applies an agglomerative clustering procedure to discover the most probable set of clusters capturing the different dynamics. To increase efficiency, the method uses an entropy-based heuristic search strategy. P. Sebastiani, M. Ramoni, and P. R. Cohen. Bayesian unsupervised Classification of times series. Technical report, KMI, The Open University, 1999. Available at http://kmi.open.ac.uk/techreports/KMi-TR-76.